Join us at our monthly meeting to learn more about brewing beer, wine, cider and mead. Click HERE for details on our next meeting. An annual home brew competition held by the Greater Topeka Hall of Foamers. Click HERE for more info on this event! Want to become a member? We'd love to have you. Click HERE to register. It's only $20/year by why would you join us? Good question! Find out here! We meet monthly on the second Wednesday of each month. Annual competition open to any home brewer nationwide! Beer related information, reviews, and recipes! What does dry hopping do? 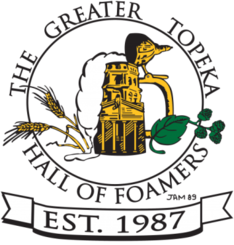 The Greater Topeka Hall of Foamers homebrew club is dedicated to teaching the brewing process to anyone who is interested. We enjoy brewing and tasting a wide variety of beer, wine, cider and mead.